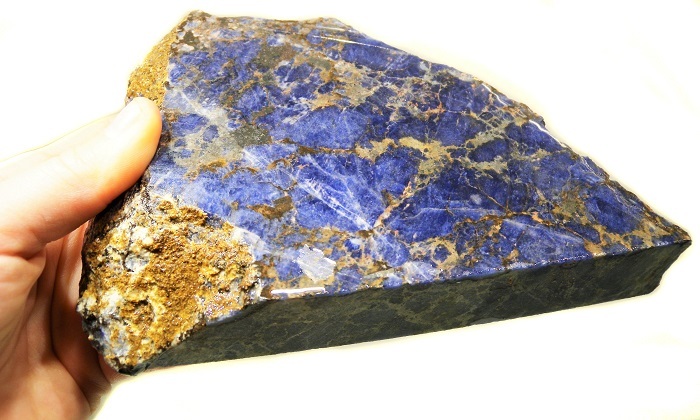 Sodalite is often used as a substitute for lapis lazuli, but it is a beautiful stone in its own right. 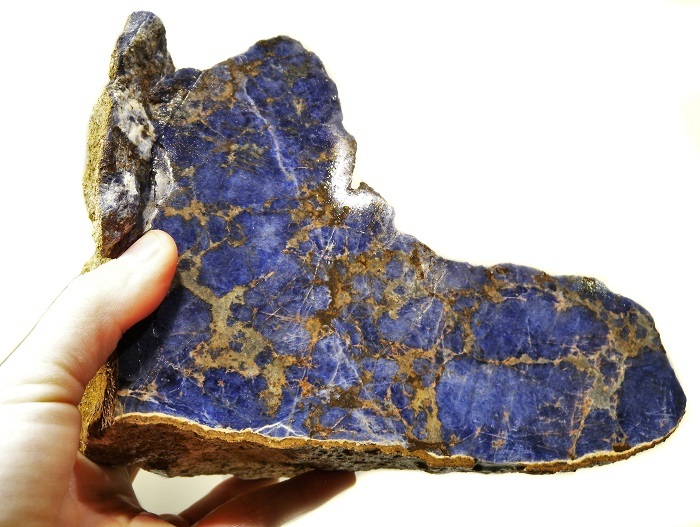 Unlike some sodalite, our material is well silicified and doesn't have the cleavage fracturing present common in Brazilian Sodalite. The Moh's hardness is 5-1/2 to 6 and it cuts easily. Polishes with cerium, aluminum or tin oxide. 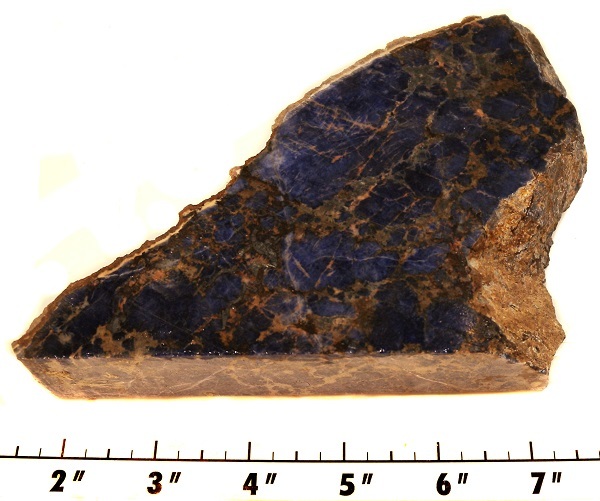 Hackmanite (a variety of sodalite) is sometimes present in this material and is a slight pinkish or rosy color. 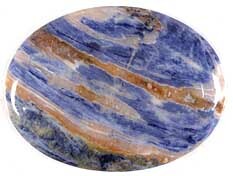 Example of Sodalite Cabochon. Note: Not cut from material below. Measures approximately 7" x 3-1/2" x 1" thick. Measures approximately 5-1/2" x 3-1/2" x 1" thick. Measures approximately 6-1/2" x 4-1/2 to 2-1/4"
x 3 to 7/16"" thick.